After all the decisions a traditional first-year student has had to make in the past year, the pressure of deciding on a perfect major may come as a surprise. Some of your friends may appear to have it all together. They may know exactly what major they’re pursuing or have a detailed career path in mind. You just arrived on campus, and their life after SIUE may appear to be planned out already, like a perfect recipe for success. Do you feel like you’re the only one without a plan? You’re not. Does the idea of one more person asking you what your major is cause you to sweat or have a knot in your stomach? It shouldn’t. If you are like many students, you are in good company of being undecided on a major and career path. Being undecided does not mean that you will not be successful. In fact, not deciding on a major right away can provide you some fantastic learning opportunities while reaching your final decision. Here are a few pointers to set any anxiousness aside and create the process of choosing your major much more enjoyable! Visit the Career Development Center! The SIUE Career Development Center is an invaluable resource to all SIUE students. Whether you are interested in a major, but are unsure of what careers that major may offer – or you have a specific career in mind, but are unsure what major to choose – a Career Counselor can help guide you through this process. Career Counselors help students explore majors and careers based on their interests, abilities, experience, personality traits and more. Career Counselors also support students in clarifying their goals while at SIUE, while researching majors available at SIUE. Further, Career Counselors assist students with experiential learning opportunities that provide students with the ability to learn outside of the classroom, whether it is through part-time jobs, summer positions, undergraduate research or finding a mentor. The Career Development Center is located in lower level of the Student Success Center, Room 0281. Get Involved! SIUE offers the opportunity to gain unique experiences through over 300 student organizations and the Kimmel Student Involvement Center. Many organizations may be related to something you may have personal interest in (Quidditch Club, anyone? ), but there are also a variety of organizations that may provide you additional exposure to specific majors or professional interests. Campus organizations are a great way to network and meet other students and professionals of different backgrounds while learning through their experiences. The Kimmel Student Involvement Center is located in the Morris University Center on the main level. Visit Your Academic Advisor! Talk to your academic advisor about some of your interests and goals. Advising can help you identify some classes that you could use to dig in deeper within a subject area and to gauge whether your personal interests match an academic interest. This way, the advisor can help guide your curriculum planning so that you are able to engage in interests while still navigating major options. Academic Advising is located in the Student Success Center, Suite 1220. 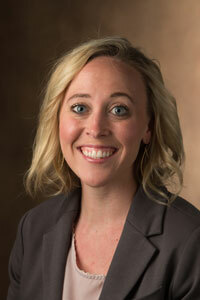 Eileen Martindale is a 2008 SIUE graduate and a Career Counselor in the Career Development Center. She assists SIUE students in their individual career development process - from choosing a major or identifying career goals to transitioning from the college campus into the working world.